Run, Clover, run! 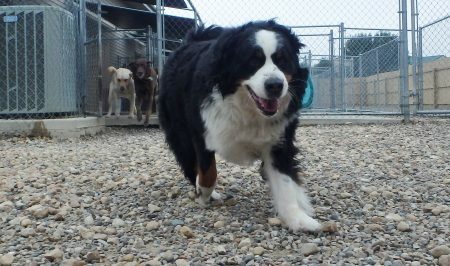 Here, Clover H. (Bernese mountain dog) leads the pack running into the rock yard for play time. Gus Str. (yellow lab) and Cutty P. (chocolate lab) try to catch up, but they are no match for Clover’s girl power! What a fun Friday for these happy pals.